Professor John Shepherd, of the University of Southampton's School of Ocean and Earth Science, has been appointed a Commander of the Order of the British Empire (CBE) in the Queen's Birthday Honours list. He has been recognised for his services to science. Professor Shepherd, based at the National Oceanography Centre, Southampton, comments: "I am both surprised and delighted to have been awarded this honour. The work that I and my colleagues at the University and the National Oceanography Centre are doing to understand the workings of the oceans and the climate system is not only very important, but is also fascinating. "High quality science is vital to many aspects of our lives today, but especially to conserving the environment in which we live, and it is a great encouragement to have this recognised in this way." 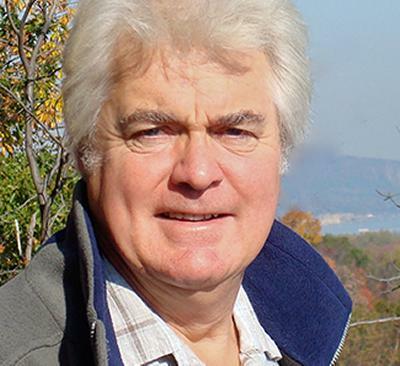 A physicist by training, Professor Shepherd has worked on a wide range of environmental issues. His current research interests are climate change, natural variability of the climate system on long timescales and Earth System modelling. He has extensive experience of international scientific assessments and providing advice in areas such as fisheries management and radioactive waste disposal as well as climate change. He joined the University as Professor of Marine Science in 1994, and was the first Director of the Southampton Oceanography Centre (now the National Oceanography Centre) from 1994 to 1999. He officially retired in 2006 but remains active as a Professorial Research Fellow in Earth System Science. Professor Shepherd has also been principal scientific advisor to the government on marine fisheries management, a Deputy Director of the Tyndall Centre for Climate Change Research and a member of the DEFRA Science Advisory Council. He is a Fellow of the Institute of Mathematics and its Applications, and was elected a Fellow of the Royal Society in 1999.